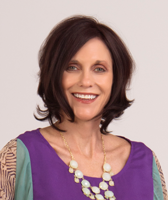 “Melissa is a modern day Medicine woman with extraordinary intuitive insight. She embodies the astute wisdom of a medical doctor, complimented with her soulful gifts to recognize the deeper cellular healing needed. I came to Melissa seeking support to move forward in an area of my life I was feeling particularly stuck in, despite working on and through issues for years. After Melissa completed my session I felt free to move in my life unimpeded from the memory of past experiences long held in my body.